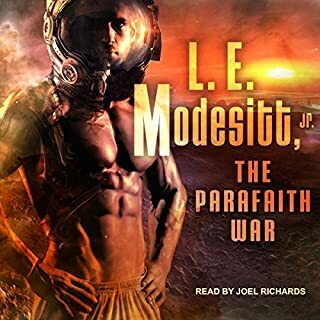 In the far future among the colonized worlds of the galaxy, there's a war going on between the majority of civilized worlds and a colonial theocracy. Trystin Desoll grows up fighting against religious fanatics and becomes a hero, a first-class pilot, then, amazingly, a spy. What do you do if you're a relatively humane soldier fighting millions of suicidal volunteers on the other side who know that they are utterly right, and you are utterly wrong, with no middle ground? Trystin Desoll has an idea. 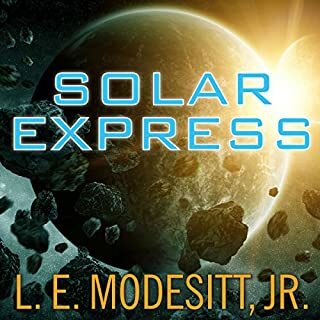 In Haze, L. E. Modesitt, Jr., tells a story of interplanetary intrigue from the future. The star of the novel is Keir Roget, an intelligence agency of the Federation, Earth’s Communist China-style totalitarian government. 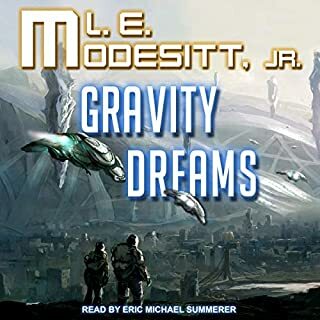 Roget’s sent to investigate the people of Haze, a planet that earned its nickname from the grey manmade cloud that protects it from outside scrutiny. As he investigates this advanced civilization, his thoughts turn to an earlier run-in with a group of terrorists in Utah. William Dufris narrates with a deep, adenoidal voice, the steady pace of his narration slowing down as he brings dramatic life to dialogue. What lies beneath the millions of orbiting nanotech satellites that shroud the world called Haze? 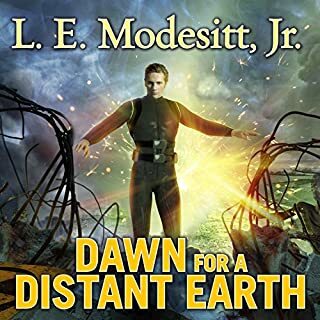 Major Keir Roget's mission is to make planetfall in secret, find out, and report back to his superiors in the Federation, the Chinese-dominated government that rules Earth and the colonized planets. For all his effectiveness as a security agent, Roget is troubled by memories of an earlier mission. When he was assigned to covert duty in the Noram backcountry town of St. George, he not only discovered that the long-standing Saint culture was neither as backward nor as harmless as his superiors believed but also barely emerged with his life and sanity whole. Now, scouting Haze, Roget finds a culture seemingly familiar yet frighteningly alien, with hints of a technology far superior to that of the Federation. Yet he is not certain how much of what he sees is real---or how to convey a danger he cannot even prove to his superiors, if he can escape Haze. 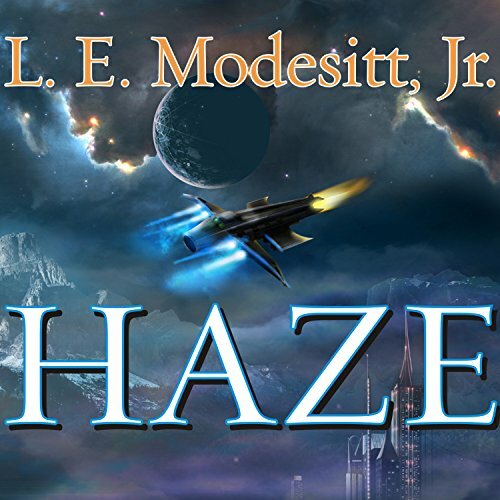 Would you consider the audio edition of Haze to be better than the print version? 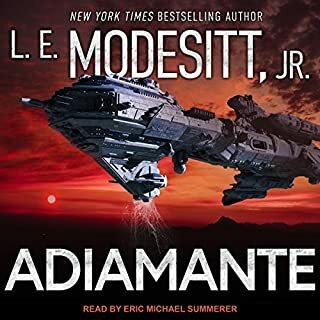 This is one of the first books I have listened to prior to reading. I do not feel I missed anything. The main character, Roget, is my favorite character. It shows a person willing to look at all sides of a problem while trying to stay true to his responsibilities. He did a great job with every character. The tone used to differentiate fell true to what I perceived the character to be like. Yes. I listen while commuting. I found myself waiting in the car at times not wanting to drag myself away from the story. Well worth the time and money for a story well told. This is traditional hard SciFi. It isn't action packed, but it is filled with depth and introspection on us, how we work, and our place in the universe. Well worth the read. Performance was mono tone but I really enjoyed the overall story. By the end I wanted to move to Haze. 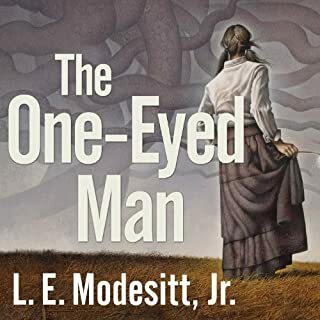 The wonderful imagination of L. E Modesitt, Jr. will take you on a ride through the galaxy to a mysterious "alien" planet where you will learn of a far superior culture and civilization.